Then possible you consider taken IPPT in ICT which the system allow you to book IPT directly. My unit don't conduct IPPT during ICT, that why consider zero attempt. Not to what I encounter. I am already in the middle of my IPT and i have not booked any non-ICT IPPT. this applies to my previous years too. about 3-7 working days. u will receive an sms saying that u have met your requirements and u have therefore, cleared your window. n yes u have technically achieved your PPT. sad enough to say, my last ICT was about 3 years ago and have not taken any non-ICT nor ICT-IPPT at all since. maybe u should call NS Hotline to enquire why is it that you have to take 11 sessions in total which is not in accordance to the IPPT policy. Haha, don't needs cause I already MR few years back. Anyway, it just 1 IPPT session so I can still tahan but if you are talking about 20 RT sessions, I will be first to KPKB! Hi guys. Want to ask question regarding ippt and exit permit question. If let say i were to migrate in the future. For example in 2019. If I apply for exit permit before i received my saf100. 1) it mean i just have to apply exit permit straight away? 2)On the other hand, if i did receive my saf100(call up). Does it mean i have to apply deferment through my unit followed by the exit permit? 3) in either scenario, do i have to clock ippt for that year assuming that my exit permit is successful and i will leave in 2019? refer to this if u haven done so. basically, if u haven receive any saf100.. just apply for EP first. Quite detailed explanation in the link though it doesnt answer the part whether there is a need to clock ippt. Some people told me that if my ippt period has 'started' for that year, i am supposed to clock ippt before i leave. On the other hand, if my ippt window havent start and i apply exit permit before my ippt window start date. I need not clock for that year. But will check with my unit for more info. just to add-on. if i did not remember wrongly that is if u are in sg for consecutive 4 months ( within 1 window and regardless before or after your departure/return). u will need to clear your IPPT. I know a person that SAF did not call him back for ICT after few years he ORD. then he get a PR from another country & went over there to find job. Once he get a job, he defer with SAF under 'work' reason. So every few years, he just defer using the same reason until he reach the SAF retirement age of 40 year old. In short, he serve his 2.5 years of NSF but did not serve a single day as NSman. yup. such a scenario exists. ~Dragonite~ and Esirious0 like this. 1. How is the parking like on weekday evenings and weekends? 2. How is the RT like? 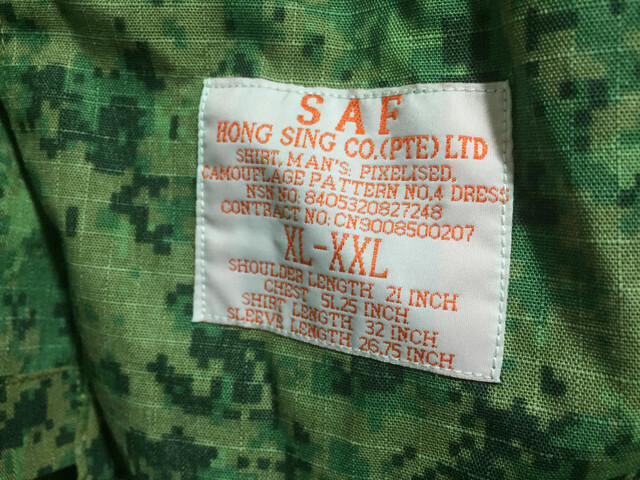 Due for reservist in ard 2 months time but realised that my uniform kinda getting too tight fitting for me Found one set already but credits not enough for me. was hoping if anyone who MR le can spare me. Now go rt still got money incentive? it's been one week alr and they still haven't update my PPT. should i call the hotline and ask them about it?